Holy Clayton Christensen! Another wave of “disruptive innovation” is on its way, and this time the Internet of Things is responsible! Automated factories: that’s not the IoT’s potential! It’s easy to see why some people make the assumption that one of the results of the Internet of Things will be fully-automated factories. After all, if automatic, real-time machine-2-machine data sharing would allow self-starting and self-regulating machinery, wouldn’t that allow us a utopian vision of completely autonomous manufacturing? 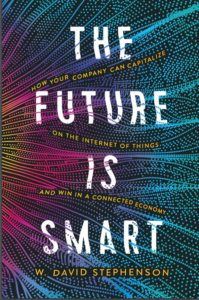 It’s Official: Tom Friedman Anoints the IoT; Plus Jobs Issue Is Raised! OK, the Internet of Things is officially a Big Thing: Tom “World is Flat” Friedman wrote about it in the Sunday NY Times.